Ditch TSA? Airports No Longer Can "Opt Out"
The TSA says no private screeners for you. Since the TSA was created after the Sept. 11, 2001, terrorist attacks, federal law has allowed airports the option of using private screeners. But few of the nation's roughly 460 commercial airports have done so. Currently, San Francisco International, Kansas City International and 14 other airports use private contractors to screen airline passengers. 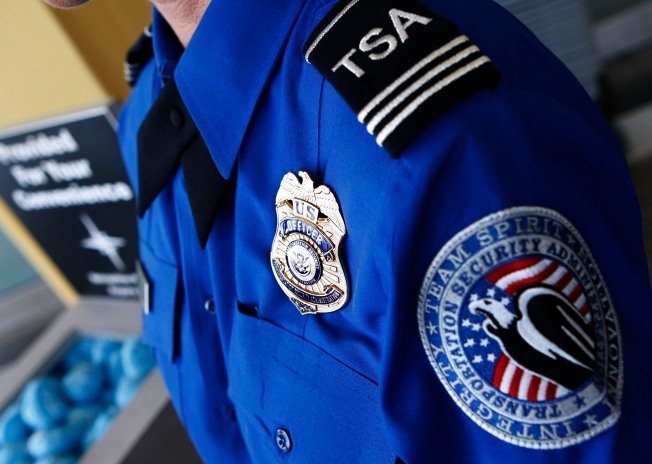 Under the program, the private company conducts an airport’s passenger screening according to TSA’s rules and policies and under TSA supervision. Several airports had been pursuing the use of private screeners. Gary Cyr, director of Missouri’s Springfield-Branson National Airport, said he was “flabbergasted” by the two-sentence TSA memo he received Friday letting him know that the airport’s application to “opt out” of the federal passenger screening program had been denied. Five other airports — all in Montana — also were looking to use private security screeners and received the same response Friday from the TSA. “Basically it was a form letter saying that our application had been denied because there would be no benefit to TSA,” said Cindi Martin, director of Montana’s Glacier Park International Airport. “The nation is secure in the sense that the safety of our skies will not be left in the hands of the lowest-bidder contractor, as it was before 9/11,” said John Gage, president of the American Federation of Government Employee, in a statement. The union represents TSA screeners. Colleen Kelley, president of the National Treasury Employees Union, which is actively organizing TSA officers at some airports, also thinks Pistole did the right thing. “It keeps this important work in the hands of federal employees, where it belongs,” Kelly said in a statement. In the meantime, several airports that were considering the screening partnership program are contemplating their next moves.